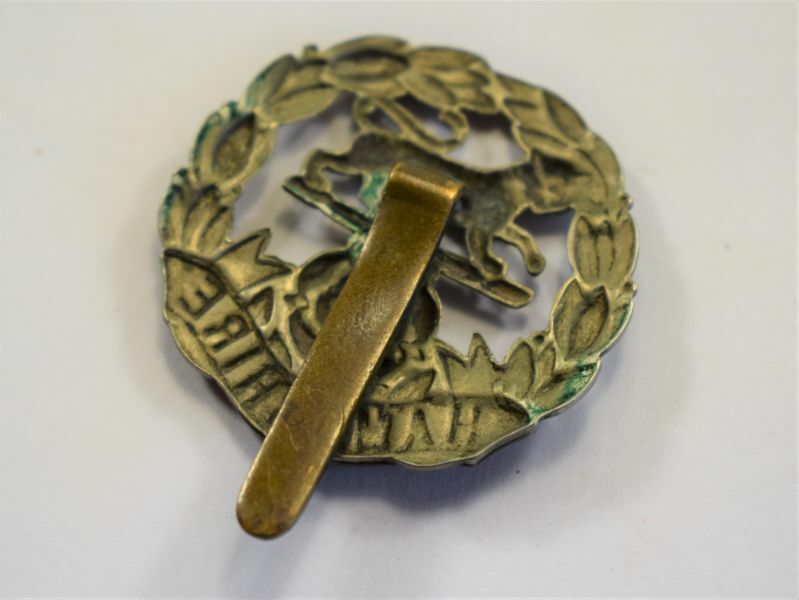 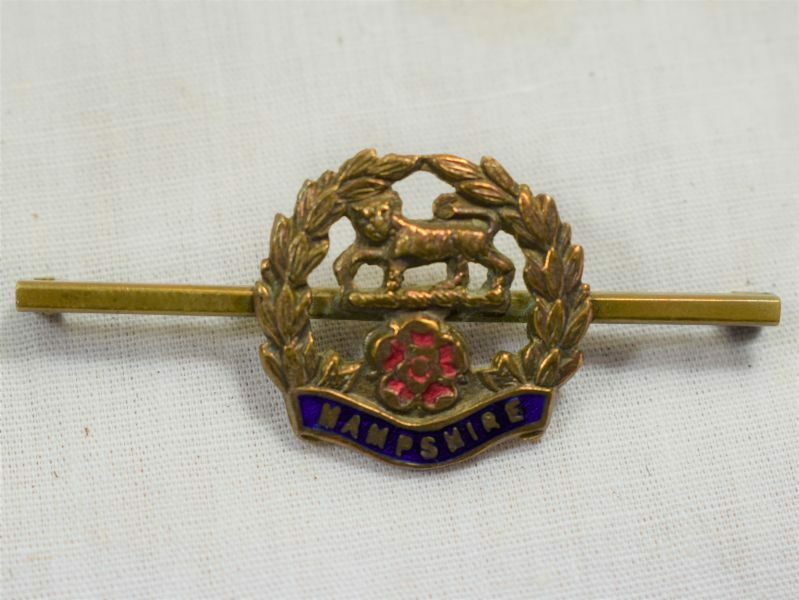 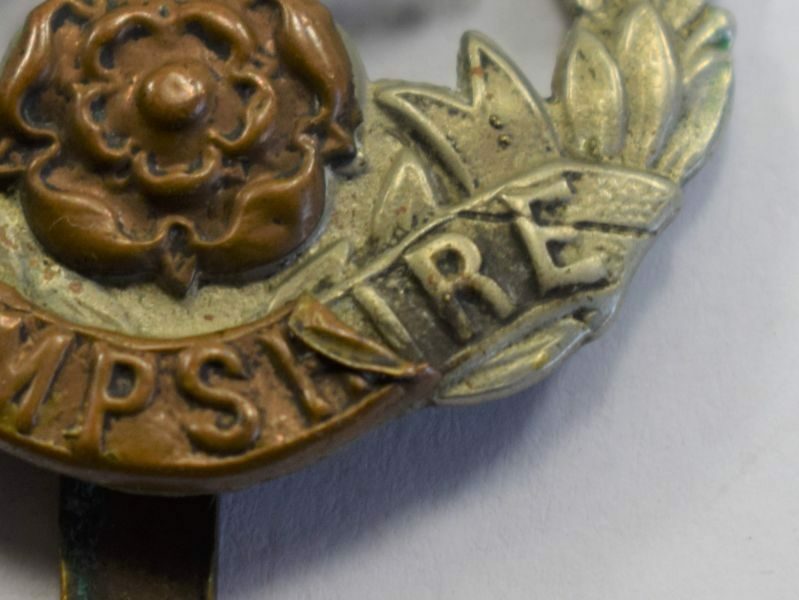 88 An original Ww1 Ww2 cap badge to the Hampshire regiment. 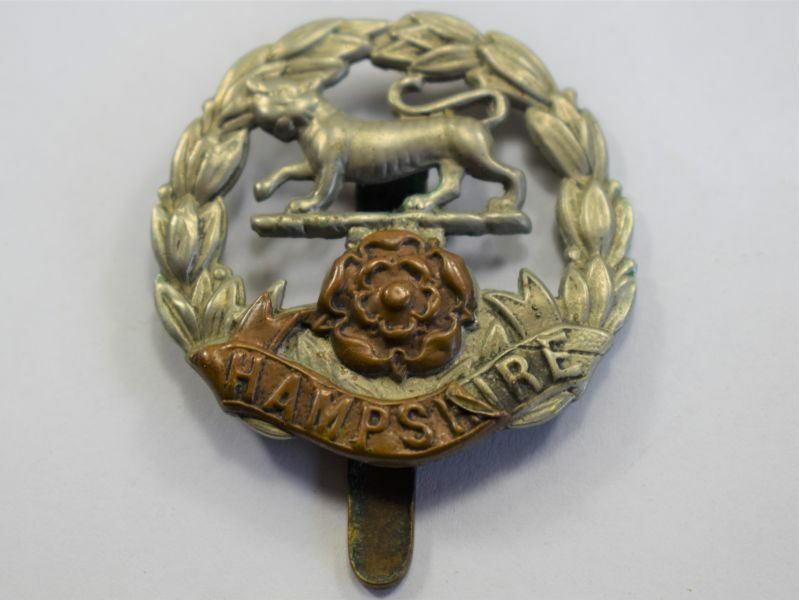 The badge is in good uncleaned condition but does have some of the copper scroll missing from the Hampshire title. 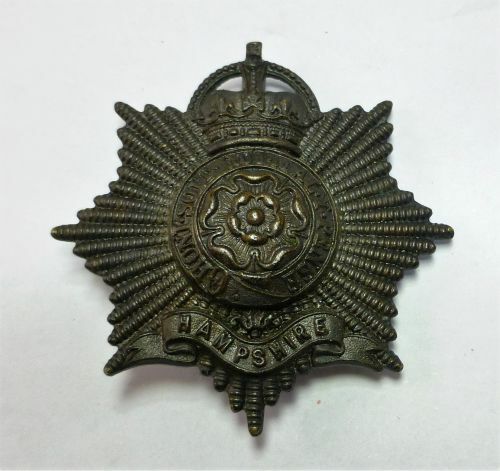 This item is guaranteed original.